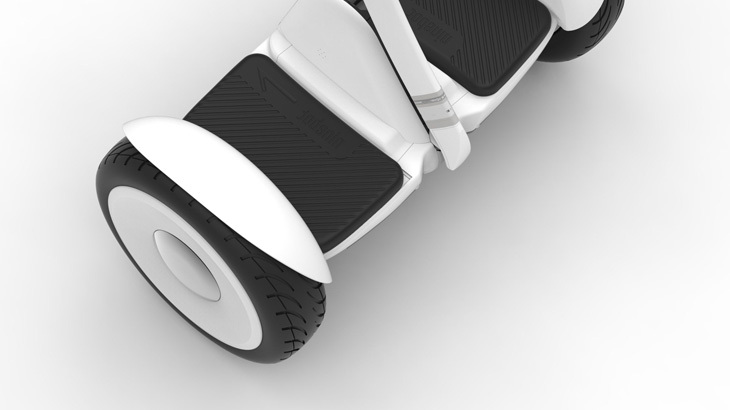 The Ninebot mini may be small but is engineered to outperform. It weighs a mere 12.8kg and is able to travel up to 16km/h, which is 4X faster than typical walking speeds. You can even move 15° inclines and conquer various road conditions, without sacrificing safety and stability. Expect strength and stability behind this scooter, powered by dual-motor engine with a total output power of 700 watts and instantaneous power of 2000 watts. It performs almost like a motorcycle, but difference is, it has low noise level and is easy to maintain. A new set of adventures await each time you set out on the Ninebot mini. Just the engine alone is not enough to ensure stability and safety, so our engineers have specially designed a dynamic power algorithm that automatically identifies the terrains and conditions you're traveling on and dynamically adjusts the instantaneous power to suit the situation. When you are approaching a small obstacle, the power instantaneously increases. 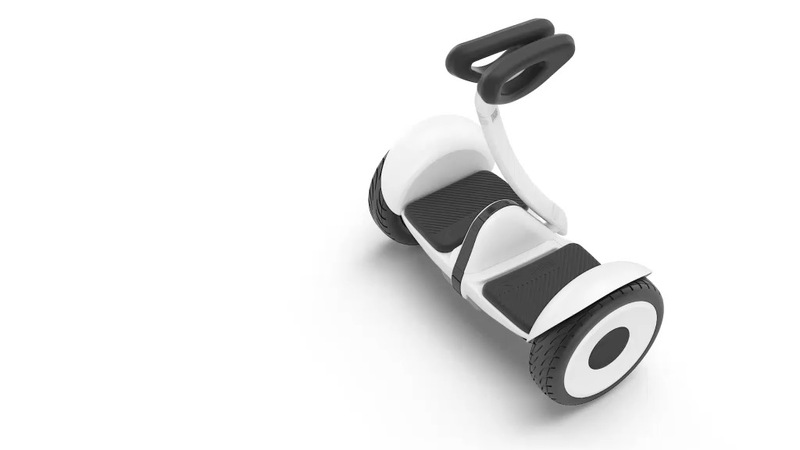 This enhances the stability of the Ninebot mini, allowing you to move comfortably past it. It comes with a 9cm chassis height and meticulously designed shock absorbing pads that significantly reduces sudden jolts. It has a IP54 rating, which means you can travel even when it rains. To ensure your safety, we have included a lighting system that consists of automatic headlights and LED tailights. The headlights help light the way and illuminate up to a distance of 5m ahead. The 2 LED tailights, by default, are in blue. It turns red when you're braking and turns yellow when you're turning left or right. The lighting system is designed for safety and is unexpectedly visually appealing too. Customize your tailights with over 16 million color options and combinations. Now when you step on the Ninebot mini, it feels almost like you're stepping on the dance floor, all ready to dazzle. This extended battery life doesn't just solely rely on the battery itself, but is also due to the smart battery management system. It monitors the health status of each battery in real-time, spreads out the load when the battery level is low, and automatically sends warning to your phone to ensure that each ride is safe. So now you can go further, longer, and safer with our Ninebot mini. Self-learning mechanism. Get hooked on riding. While you're learning to improve on your driving skills, the Ninebot mini is also continuously learning to further enhance your riding experience. This intelligent self-learning algorithm combines over 10 years of combined industry knowledge from Ninebot and Segway. It utilizes built-in precision weight, movement, speed, temperature, and power sensors to capture your body's movements and uses these information to produce an algorithm that suits you best. Now you can ride better and safer with a companion that understands you best. Good tires and rims are essential for the safety and comfort of our riders. Our engineers have included a 10.5" pneumatic, air-filled tires that provide military-grade shock resistance. These tires also have design lines that have been meticulously engineered to smooth out bumps and absorb vibrations as you ride. As compared to typical 6" to 8" tires, the ride is a lot smoother, damping effects are visibly better. 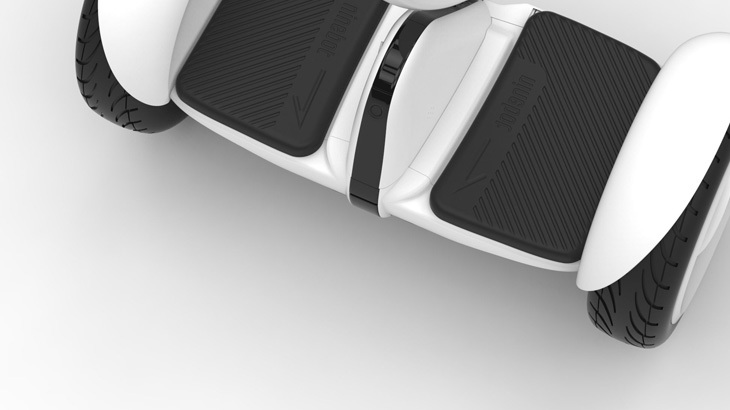 Safety has always been our primary concern when we designed the Ninebot mini. 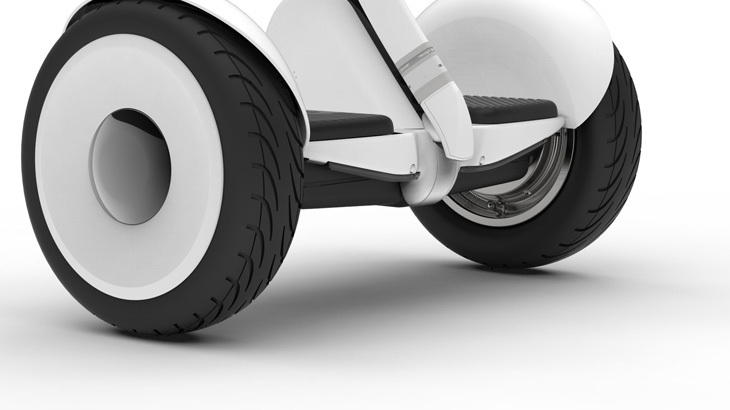 We have combined over 16 years of industry experience from both Ninebot and Segway companies, more than 400 patented technologies, to produce security features that are a notch above the rest. The Ninebot mini has been rigorously tested in over 50 reliability tests, and has reached military standards to guarantee performance and excellent durability. Of course, as much as we've done our part in ensuring the safety of our users, it is important and essential for users to ride safely in real-life situations and be on the safe side of the road. Ninebot and Segway are inventors and originators of self-balancing scooters. 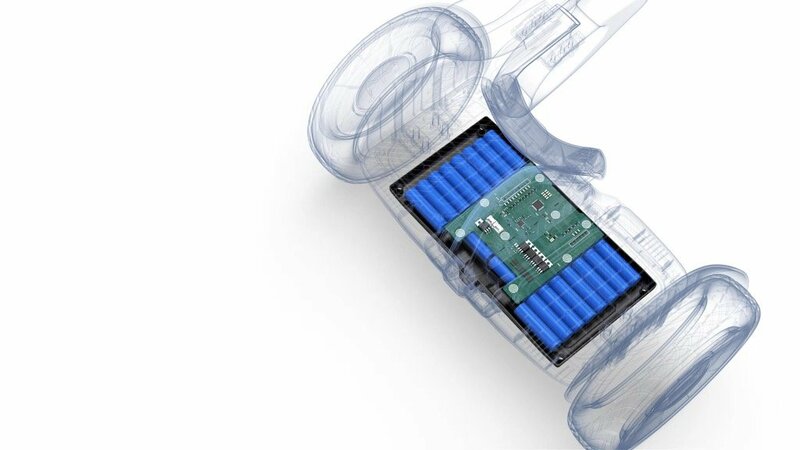 Segway is designed and developed by Dean Kamen's research and development company, DEKA. In 2005, Segway was presented as a gift to the Japanese prime minister from the President of the United States and even used on stage during the Beijing 2008 Olympic games. It is also widely used as a smart scooter for most security personnels and in large spaces for greater transport convenience. Dean Kamen had high hopes of revolutionizing the world. He once told the media that maybe not all 6 billion of us would clamor at once to own a self-balancing smart scooter, but to him, that seemed only a matter of time. Today, we're a step closer to his ambition. With the all-new Ninebot mini that combines Ninebot's and Segway's over 16 years of industry experience, it is way easier to bring self-balancing scooters to every household. Based on conditions that the surrounding temperature is 25°C, with the Ninebot mini fully charged, and the rider weighs 70kg traveling at the speed of 15km/h. This is in comparison with adults with normal walking speed of 1m/s (approx. 3.6km/h) and actual results may vary due to road conditions, temperature, and battery life. Please refrain from using the Ninebot mini when it snows, on ice, or on muddy surfaces. The Ninebot mini app is only compatible with Android devices with Android 4.3 or higher and iOS devices with iOS 7.0 and higher. Please read the safety instructions manual carefully. 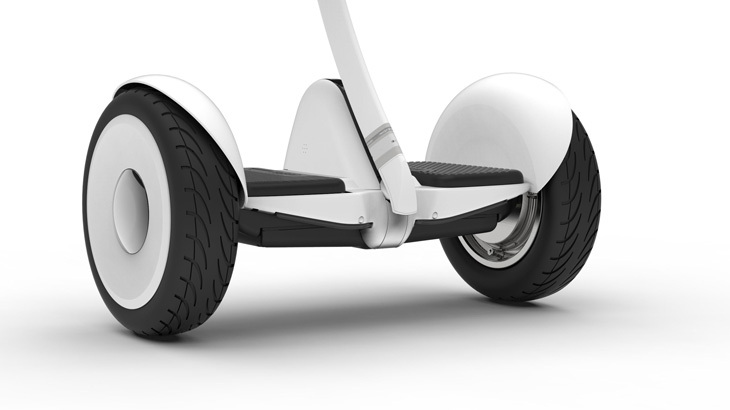 Xiaomi has wholly acquired Segway Inc. in April 2015.